Lots of DeskLodgers got involved bringing in unicorn shaped cakes, colourful macaroons, layer cakes, Guinness cakes and cheesecakes to Grandma’s Chocie Cake (made from a loved family recipe). The initial idea came from DeskLodger Rob Eveleigh who told us about the Bristol Giving Day charity and how we could get involved, one of his ideas was a cake sale and the Great DeskLodge Bake Off idea grew from there. 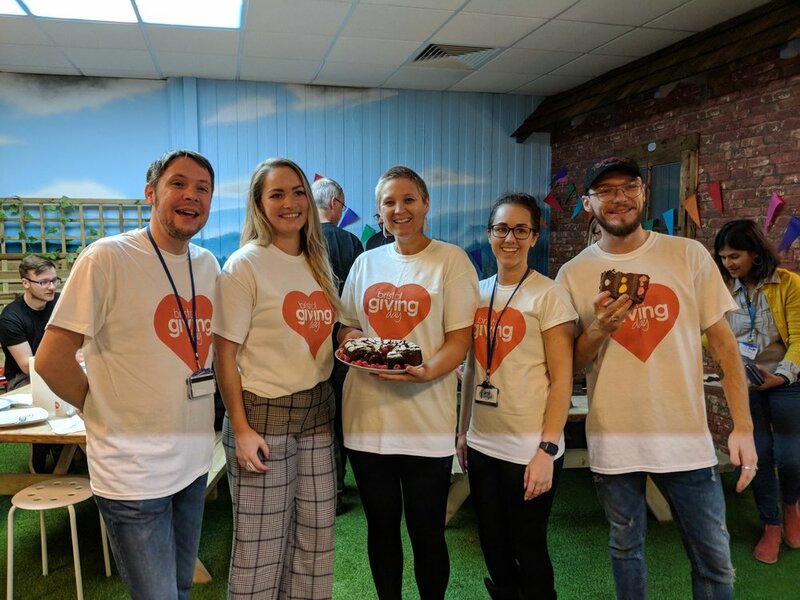 Knowing how well our lovely DeskLodgers respond to charity events, following a very successful Gromit Challenge, we just had to get involved with Bristol Giving Day. The Bristol Giving Day is a day to spread generosity across Bristol through fun charity events fundraising to support local community causes from women’s refugee groups, organizing trips out of the city for inner city kids to supporting people with mental problems and isolated older people in our communities. With donations also going to the HPC Bristol Community Fund who support disadvantaged young people with education and training opportunities to the Bristol City Funds ‘No child goes hungry’ campaign or even contributing to Bristol Giving Day with your own charity-based groups and ideas. All money raised goes to supporting our community to help everyone thrive in our ever-growing and successful city! Bristol Giving Day is run by the Quartet Community Foundation who bring together like-minded people who want to improve and support their local community. 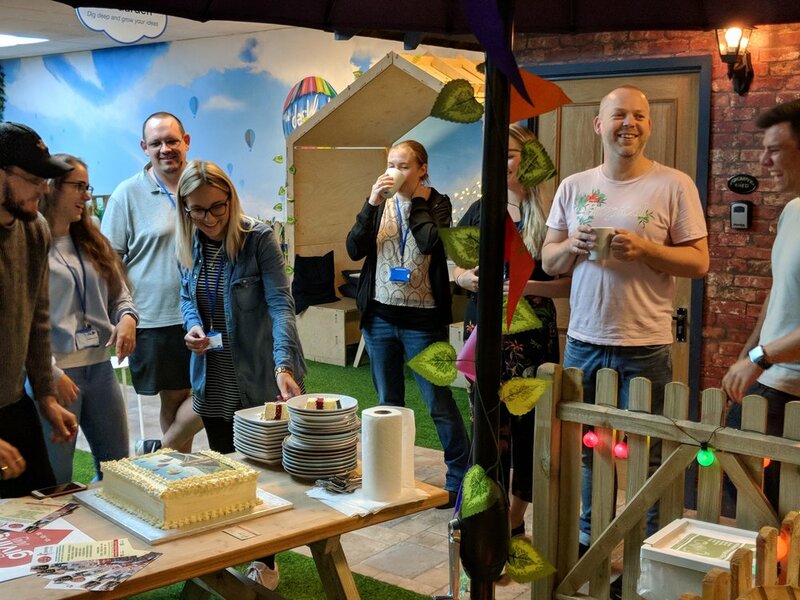 On Wednesday 10th October, dressed up in our Bristol Giving Day t-shirts, the Bristol DeskLodge team held the Great DeskLodge Bake Off event. Each baker donated money to enter the competition and all DeskLodgers were invited along to become part of our judging team at £2 a pop, tasting the fabulous cakes and judging them on both creative appearance and most importantly, taste! We also welcomed along BBC Coast presenter Miranda Restovonikoff, who joined us for some guest cake judging alongside the Quartet Community Foundation team. It was great to meet Miranda and the team behind Bristol Giving Day. 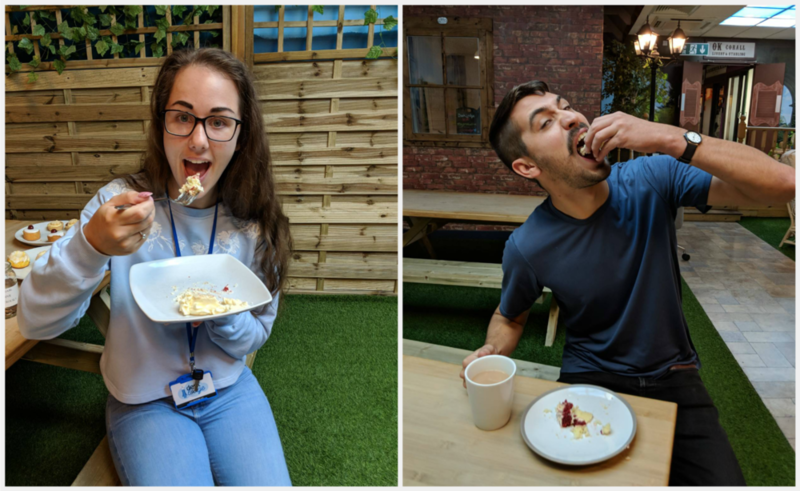 Following the cake fest that was the Great DeskLodge Bake Off judging event and a few extremely over-excited sugar rushes and the inevitable sugar crash (hey, don’t judge, there were a lot of cakes to taste) we found our first ever Great DeskLodge Bake Off winner, drumroll please………. For her amazing and truly scrumptious Chocolate and caramel cake (smothered in caramel Swiss meringue buttercream with homemade honeycomb bites, covered in chocolate!) yes, it was as heavenly as it sounds – Hayley Yates from Nudge Digital took first place! Coming in at a close second with her gorgeous and super sweet cream filled layer cake tower was Hannah Grenfell from Sparkol! Well done ladies! It was so great to see so many DeskLodgers getting involved whether as bakers or judges and we are very proud to say that we managed to raise £257.27 for Bristol Giving Day! Go DeskLodge! We would also like to give a great big thanks to local cake makers Deocraft who kindly donated an amazing cake with an edible image of the Bristol Suspension Bridge and balloons with a layered velvet and lemon sponge and beautifully piped cream! Our DeskLodgers have really enjoyed the cake and donated even more money for Bristol Giving Day! Well done Bristol!